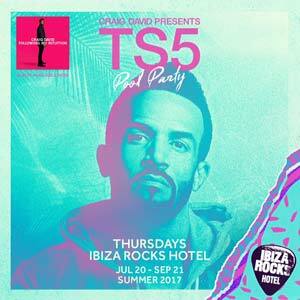 The comeback kid of 2016, Craig David’s TS5 party at Ibiza Rocks Hotel has cemented the fact that this pioneer in UK garage and RnB is still as talented as ever. Performing at Ibiza Rocks on a number of dates during the summer season, Craig played a number of his newest and old school hits. 2017 dates TBA.